Are There Too Many Car Insurance Providers? There are dozens of companies that offer car insurance here in the UK but are there too many of them? The answer must surely be no but let’s have a look at some of the benefits of having so many providers. One of the biggest benefits to the motorist must be that the more insurance companies there are then the greater the competition. Competition has a big impact on the price that insurers charge their policyholders. After all, if you think about it, all these insurance companies want to take on as much new business as possible and retain their existing customers. 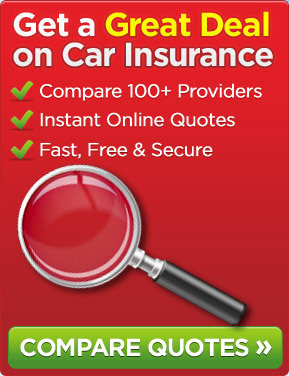 Using the Internet to access a price comparison website is one of the ways of getting a number of car insurance quotes. So, each insurer will know what most of the others are charging and some will be prepared to compete for that business. The effect of this is that premiums will vary between insurers – some times by a few pence but sometimes by a few pounds a month for the same level of cover. Another benefit is that companies may introduce different features and benefits in order to gain an advantage. For instance, some of you may have heard of telematics car insurance (also known as black box car insurance). It has not been around for too many years but whichever company was the first to introduce it may have found that they took on more business as a result of offering it. Going back even further in time, if you wanted to arrange car breakdown cover, you would have to do this direct with the likes of the AA or the RAC. For a number of years now it has been possible to include this within many companies’ car insurance policies often at a lower overall cost than if you arranged the breakdown cover separate to your car insurance. So, in answer to the above question – no there are certainly not too many car insurance providers. The next question is: “How do you access all these insurance companies?” Well, whilst not all companies are listed on price comparison websites, such sites do usually give you access to numerous providers so that is a good option to look at to try to get cheaper car insurance. This entry was posted in News and tagged Black Box Car Insurance, car, car insurance, Car Insurance Providers, Telematics Car Insurance. Bookmark the permalink.